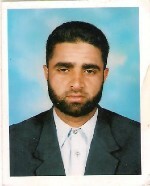 zahoor ahmad having 6 years excellent experience with well reputed companis in middlie east region. DAILY RECIEVIN,ISSUIN OF MATERIAL VEIWING THE INVOCIES PURCHASE ORDER AND HANDLING ALL THE DUTIES ASSIGNED ME. Join Today to follow and contact Zahoor Ahmad.